For April 2014, we have a new cover favourite all the way from Canada. 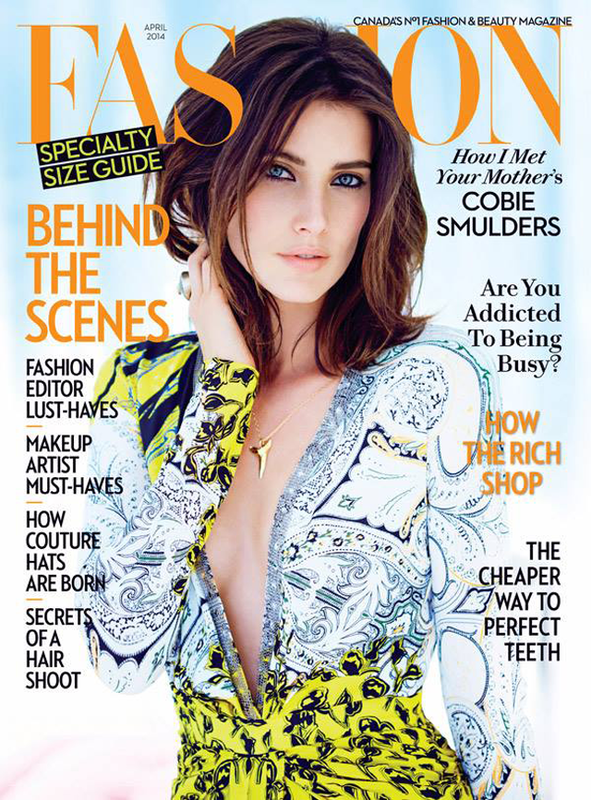 Fashion magazine features a name that's definitely in lights at the moment - Cobie Smulders. Sporting a plunging neckline, a perfectly defined smokey eye and a shark's tooth necklace that we're dying to get our hands on, this is perfectly styled to show off the true beauty of the How I Met Your Mother actress. When a magazine gets it right, they truly do knock it out of the ballpark. We love this look from start to finish on Cobie Smulders (and in all honesty I'm personally contemplating a haircut after seeing this fabulous shoulder sweeping do).